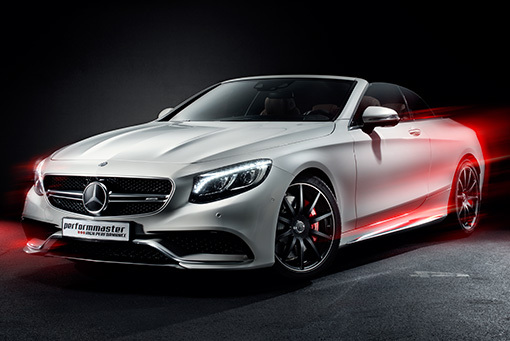 All news and highlights as well as the latest AMG tuning from performmaster at a glance. „They decide on the 40 best sports cars in the world,“ sports auto headlines and calls for the major readers‘ choice in 2018. The modified AMG vehicles have been nominated by performmaster three times. Including the Mercedes-AMG C43 with 430 hp, the Mercedes-AMG E 63 S T-model with 712 hp and the Mercedes-AMG GT with 612 hp. 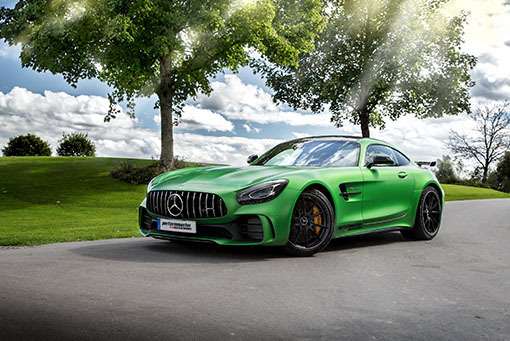 The AMG tuning specialist performmaster from Plüderhausen in Swabia has also implicated its technical gene in the AMG GT R: 650 hp and 780 Nm accelerate the AMG GT R from 0 to 100 km / h in 3.4 s and, thanks to the Vmax Raising a top speed of 330 km / h. This manifests the fact that the technique of performmaster high performance is the measure of things for engine tuning especially for AMG vehicles. The readers of sport auto have decided: The Mercedes-AMG 45 from performmaster wins the 3rd place in the readers‘ poll of sport auto. 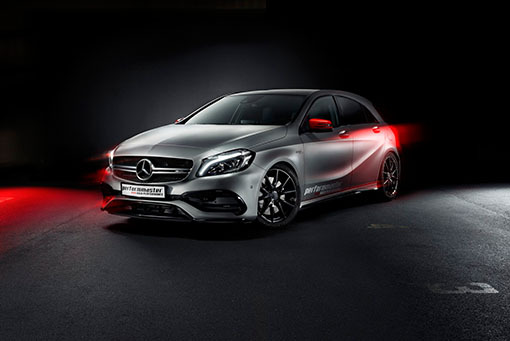 In the tuning car compact car category, performmaster is competing against the competition with the A45 AMG. „It’s a great honor,“ says CEO Udo Heinzelmann. „Especially in the compact class, customers are increasingly opting for quality. Therefore, we are very happy about this award. 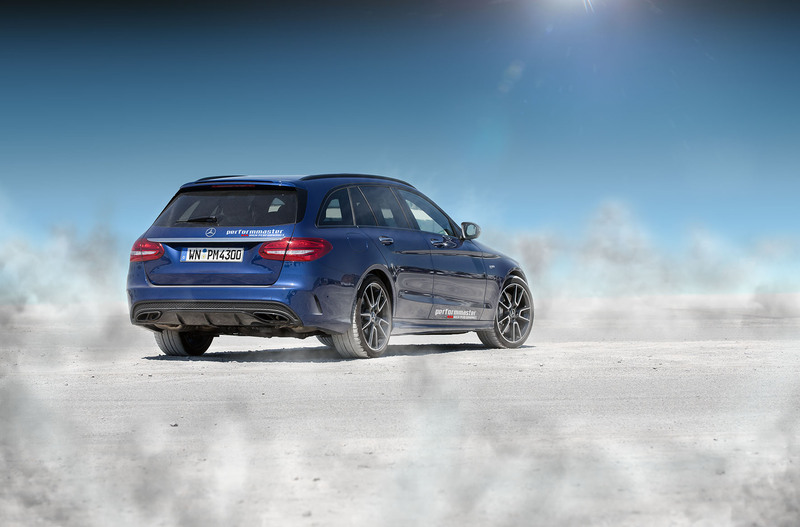 „With 410 hp and 560 Nm, the performer’s A45 AMG wins a comparison test again. If the Baden-Württemberg company performmaster puts its hand on the AMG C43, the values already inherent in the game mutate into a true Schwabenpfeil: Impressive 316 kW / 430 hp and now enormous 610 Nm drummeln the vehicle properly from 0-100 km/h in 4.0 seconds (serial value 4.7 seconds) and thanks to Vmax suspension ends the sheer endless propulsion only at 285 km/h and brings the driver pure mood and a rich performance plus on the highway. 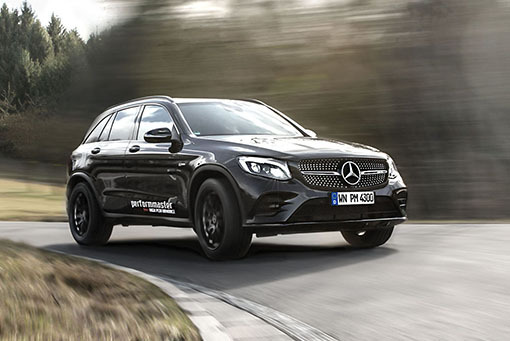 Thanks to the built-in performmaster PEC tuning module, the engine gets impressive 430 hp and 610 Nm and accelerates the performmaster GLC 43 AMG from 0 – 100 in 4.7 seconds and from zero to 200 in 16.6 seconds. This brute fun is underlined by the Vmax suspension to 280 km/h on. The Mercedes-AMG-based company from the Swabian Plüderhausen relies on perfection: And so the Mercedes-AMG driver receives an absolute premium product with the highest standards of quality and safety. Wahrlich monumental und gewaltig sind die Daten des performmaster S 63 AMG Cabrio: Denn das PEC Tuning-Truly monumental and powerful are the data of the performmaster S 63 AMG Cabriolet: The PEC tuning module boosts power to 702 hp (+117 hp) and an overwhelming 1,000 Nm (+100 Nm) – leaving just about everything behind. The top speed amounts to a whopping 320 km/h due to the included V-Max suspension. The performmaster PEC tuning module combines both: performance enhancement and Vmax cancellation. Once installed and connected bubbles and pushes the S 63 AMG convertible tremendously forward. From 0-100, the sprint shortens to 3.7 seconds (3.9 sec series) and from 0-200 km/h to 11.3 seconds (12.6 sec series). Auto-Motor-Sport shows the engine update for the Mercedes AMG GTS by performmaster. With a top speed of 612 hp and a top speed of 330 km/h, the AMG performance enhancement shows its true abilities. A pure power unleashing under the elongated bonnet of the Mercedes AMG GTS. No question, the performmaster’s GTS cuts a fine figure on the highway and in front of the camera. 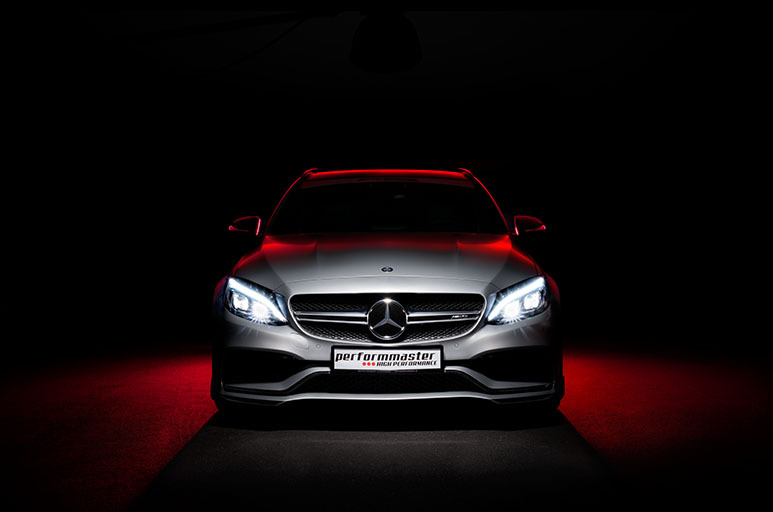 The safety of the AMG tuning in the form of a parts certificate and a comprehensive engine warranty is included. That makes the AMG tuning of performmaster unique. A combination that leaves supersports-car behind? No problem! 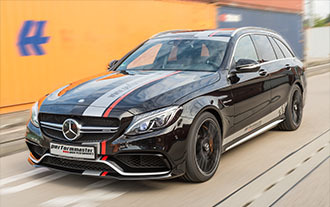 Performmaster helps the Mercedes-AMG C63 T-model providing 612 hp and more than 300 km/h. 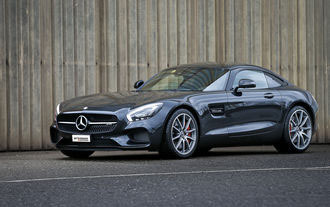 Tuner performmaster from Plüderhausen, Germany, brings the Mercedes-AMG GT S engine to 612 hp. The sportscar from Affalterbach now speeds up to 330 km/h. After a power treatment on AMG models tuner performmaster brings the E63 AMG up to 702 hp and a whopping 1,000 Nm at the start. Made possible by a single tuning module. Up to 410 hp elicits performmaster out of the AMG 45 models and outbids the 360 PS Series significantly. Performmaster from Plüderhausen, Germany, provides a PEC tuning module for current Mercedes AMG models that promises more power and sets the Vmax limit up to 320 km/h. 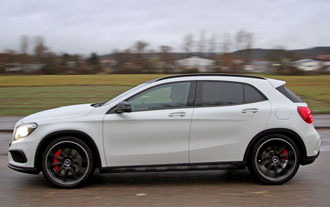 Where the series drops out, the GLA 45 with the power increase of performmaster has a fantastic crisp effortlessly toward the top speed of 280 km/h.